Rules for the Wafer server, website, and forums. Wafer info for the community. Did you build a public iron farm or city? Post it here. Main gathering place for discussing Wafer-related topics. Make suggestions to staff about improving Wafer. 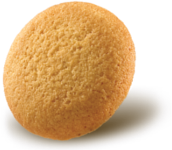 Please remember this is a Vanilla Wafer. Post here to offer sales, trades, or request donations for community projects. White list applications for players. Prospective moderators do not apply here. Were you banned and wish to return? Make your case.